Developing countries face an average combined unemployment and underemployment rate of 30%. For instance, 8.8% of Colombia’s labor force in 2013 remained without work despite being available and seeking employment. Unemployed women are a particularly vulnerable population group, with a much higher unemployment rate of 25.1% compared with just 14.2% among young men. With an annual population growth of 1.3%, the number of young people entering the labor market is increasing, raising the economic development barrier for developing nations. Unemployment affects not only individuals, but also their country’s national economy. A family experiencing unemployment will respond to losing income by cutting expenses on basic needs including food, education, and healthcare, leading to further economic and social losses beyond the household. Loss of income results in the depletion of a nation’s GDP—for every 1% increase in unemployment rate, GDP falls an additional 2%. This paper* shares two case studies from cities that have generated employment by implementing low carbon transport projects. It describes the TransMilenio bus rapid transit system in Bogota, Colombia and the Vélib’ bike sharing system in Paris, France, and provides details of the design, implementation and the results of these projects to date. Today a third of the world’s population live in low income countries. These countries account for only 3.3% of the global gross domestic product (GDP). The potential economic productivity of this workforce in low income countries has not yet been realized. As well as enhancing the climate performance of cities and regions, well designed low carbon transport systems can create employment opportunities—a win–win opportunity. There is increasing evidence that investment in low carbon transport creates more jobs than investment that favors cars and other motorized forms of transport. Along with the short term employment impact, longer term jobs in these public transport systems tend to be more formalized and secure. Investing in low carbon transport solutions is a key area to be tapped, especially in countries facing high unemployment and limited social and economic development. Bogota’s TransMilenio bus rapid transit system saves almost 250,000 tons of carbon dioxide each year, and employs 40,000 workers with provision for social security benefits such as pension schemes and healthcare. 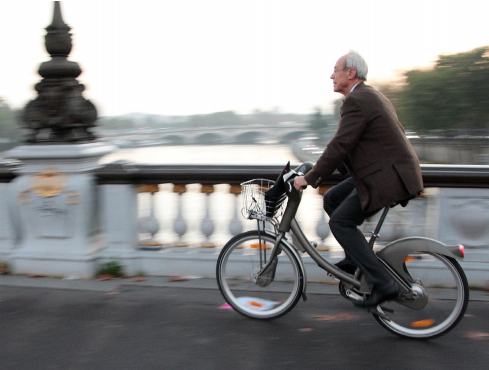 In Paris the Vélib’ bike share program employs 400 people and helps reduce annual greenhouse gas emissions by 32,330 tons of carbon dioxide. Lefevre, B., Eisenbeiß, K., Yadav, N. and Enriquez, A. (2016) Create jobs by reducing greenhouse gas emissions from urban transport. LEDS in Practice. Low Emission Development Strategies Global Partnership.